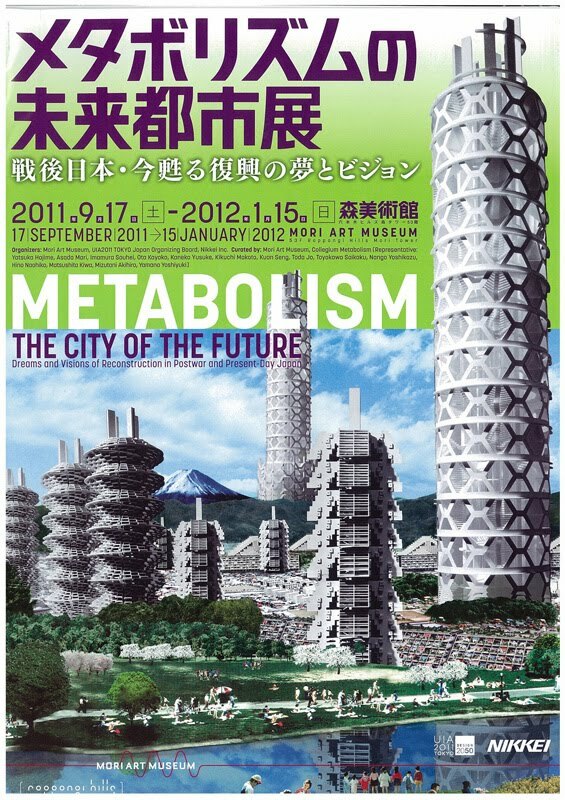 Metabolism was the most important urban architectural, artistic and philosophical movement, that Japan produced in the twentieth century. 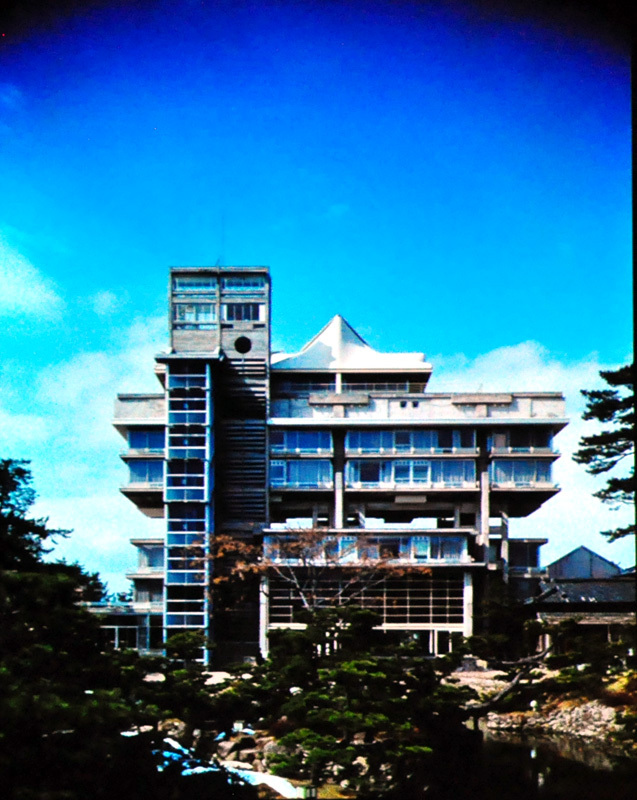 Its influence went beyond the utopian concepts of a society that was experiencing rapid economic growth in the early 60s and it materialized in specific projects, not only in Japan but also beyond the archipelago. 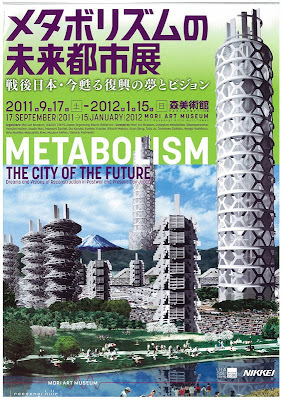 This post is based on two sources: the first is the exhibition "Metabolism: City of the Future" held at Mori Museum, at the top of Roppongi Hills , in the events of World Congress of Architecture in Tokyo. This is the first exhibition on the Metabolist Movement carried out in the world, so this post is organized according to the structure of the exhibition. 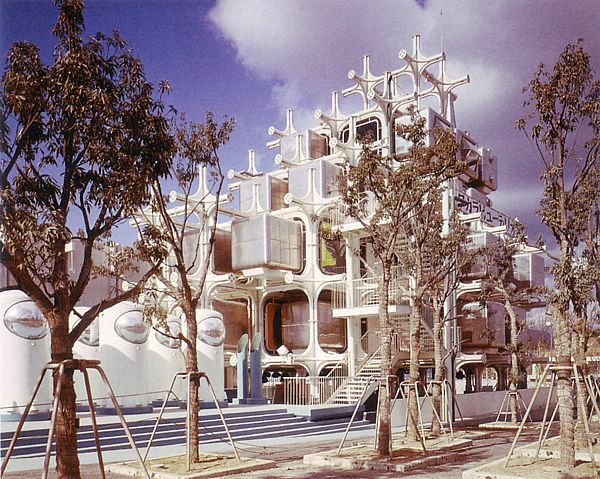 The second is the complete and recommended book, "Kenzo Tange and the Metabolist Movement. 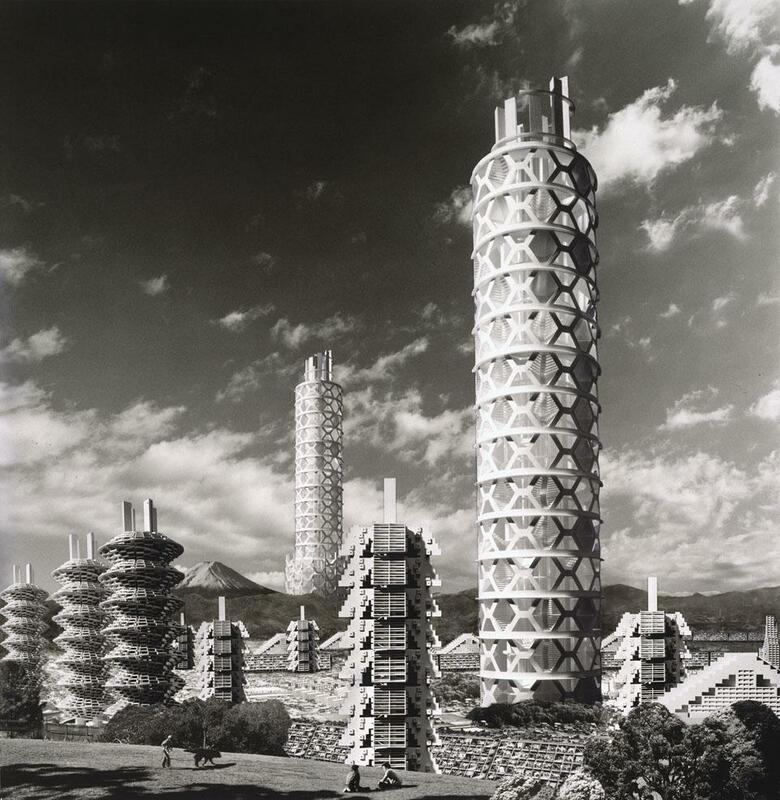 Urban Utopias of Modern Japan", by Lin Zhongjie, 2010. 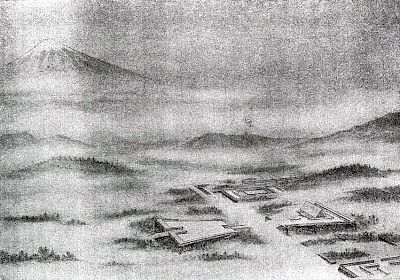 This section discusses the early modern Japanese urban planning, when the country dominated much of Asia. Then, the Japanese planners proposed projects in their colonies (Korea, Manchuko, etc) that they would not dare to carry out in Japan itself. 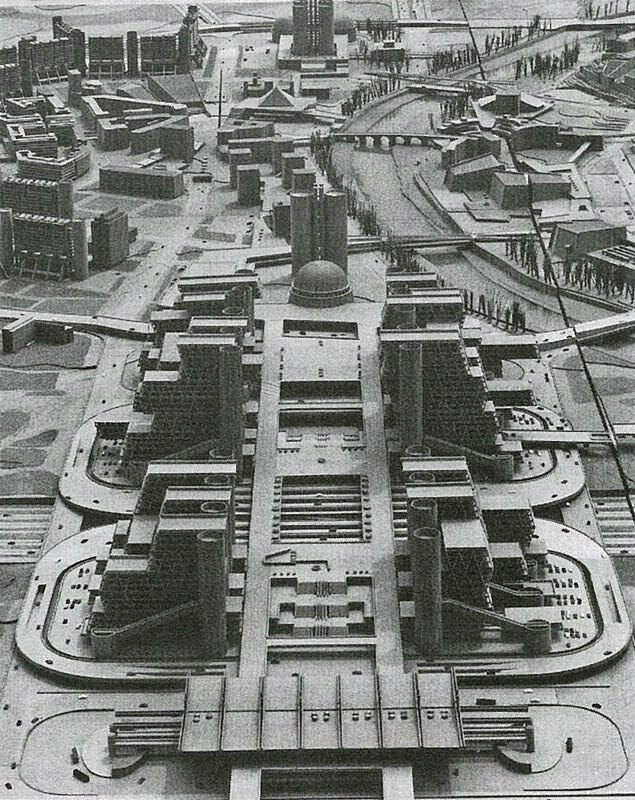 At that time, Kenzo Tange won his first competition at age 29, a proposal to build a monument to the "Greater East Asia Co-Prosperity Sphere." His proposal considered monumental scale and modern axes, but suggested a monument reminiscent of the Grand Shrine of Ise. Due to the escalation of the war none of these plans was carried out. 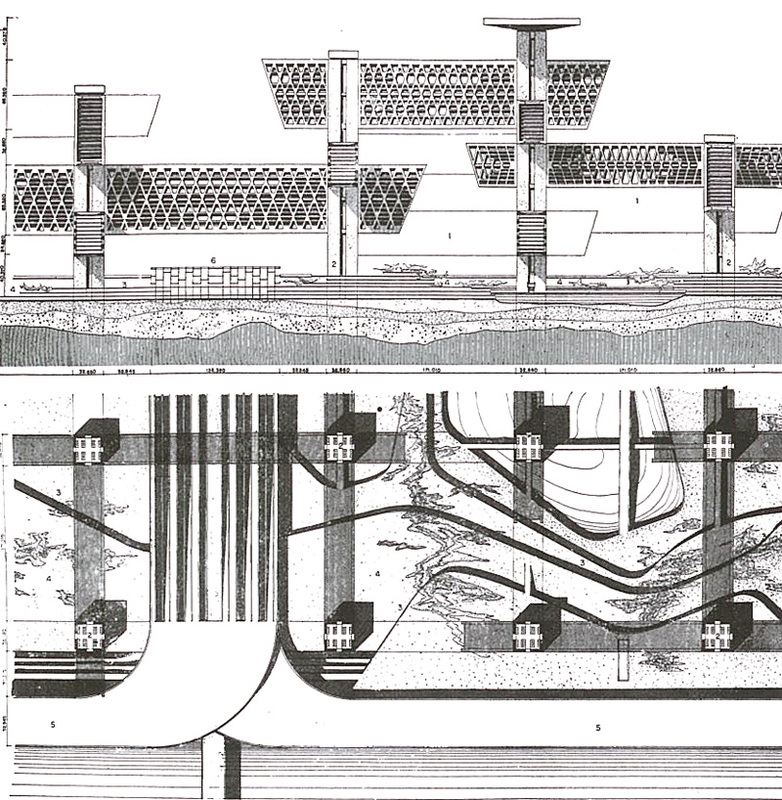 Monument to the East Asia Co-prosperity Sphere , Kenzo Tange, 1942. It was supposed to be located between Kyoto and Tokyo, the traditional heart of the modern metropolis of Japan. The linear axis would be repeated in other projects such as the one in Hiroshima, Tokyo or Osaka Expo. However, the first concrete example of modern urban planning was the Master Plan for the reconstruction of Hiroshima, along with the buildings designed for the Peace Park in that city by Kenzo Tange. 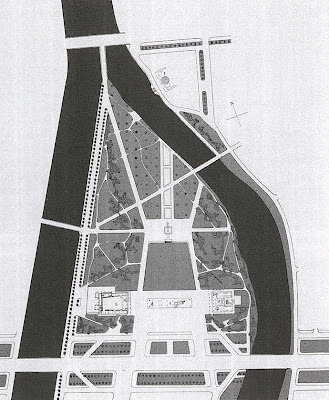 Plan for the Peace Park, Hiroshima . Kenzo Tange, 1955. Atomic Bomb Memorial Museum, Hiroshima . 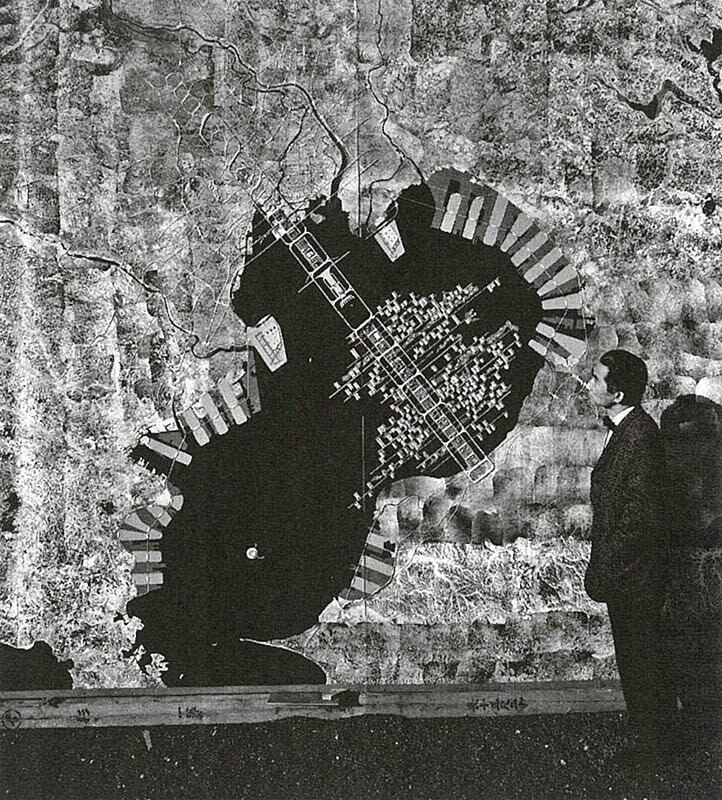 Kenzo Tange, 1955. Because of Tange's influence, a group composed of Japanese architects (many of them his colleagues and students) Kisho Kurokawa, Kiyonori Kikutake, Fumihiko Maki, Masato Otaka among others presented in 1960 a manifesto called "Metabolism: Proposals for a New Urbanism" during the World Design Congress that year. 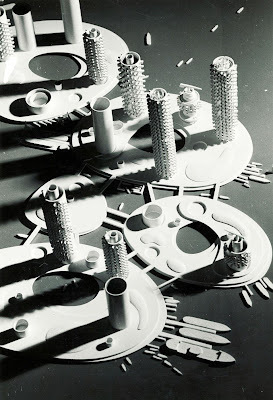 The movement took that name because, distancing away from modernism, arguing that buildings and cities should be conceived as living beings, and therefore should grow organically, according to the needs of their inhabitants. 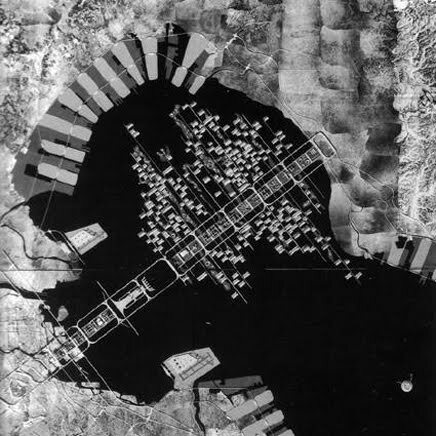 Kenzo Tange in 1960 presented his Plan for Tokyo, including innovative ideas on how to expand the city across Tokyo Bay. 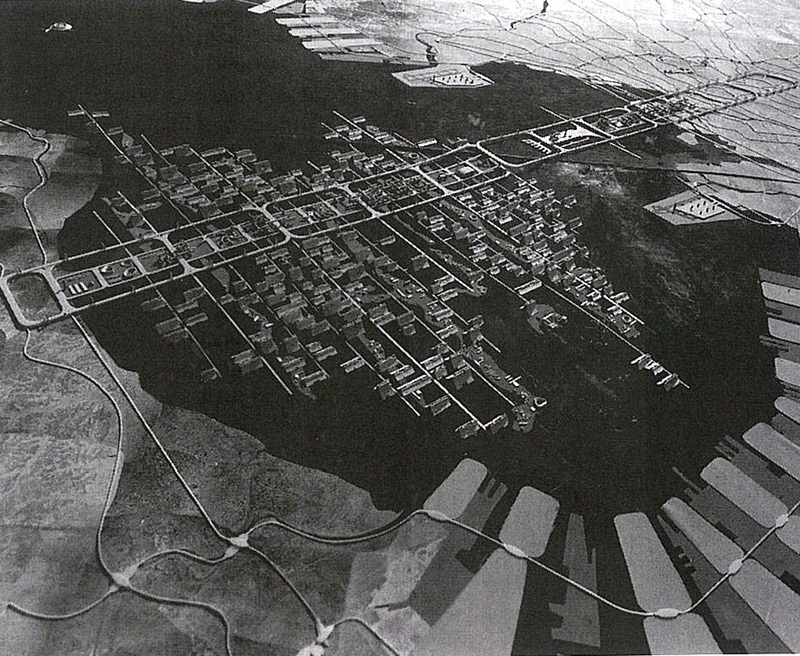 Plan for Tokyo, 1960. Photomontage and model. 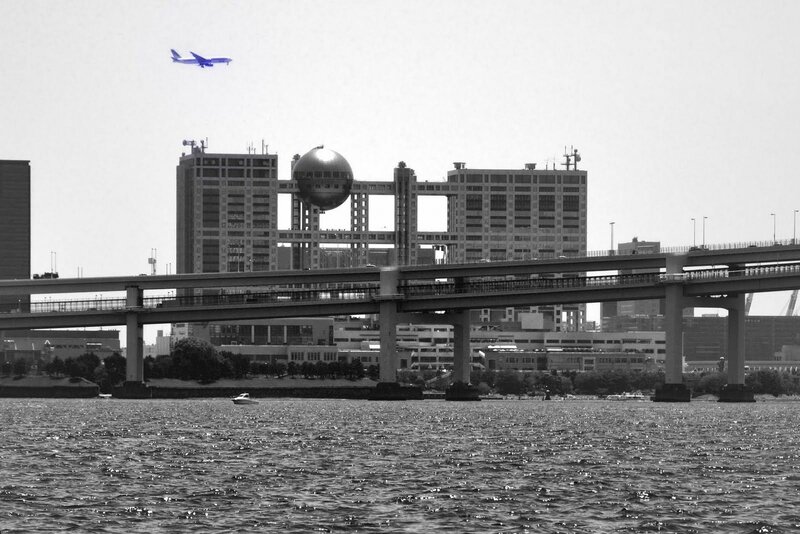 Kenzo Tange. The huge monumental axis built across the Tokyo Bay was designed for cars, keeping pedestrians away in separate areas through a hierarchy of expressways. 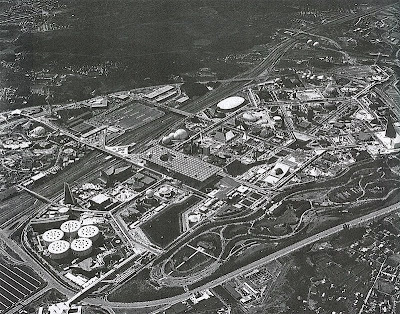 The proposal differed from the ideas of CIAM, which was in favor of "urban centers" and proposed "civic areas" instead. 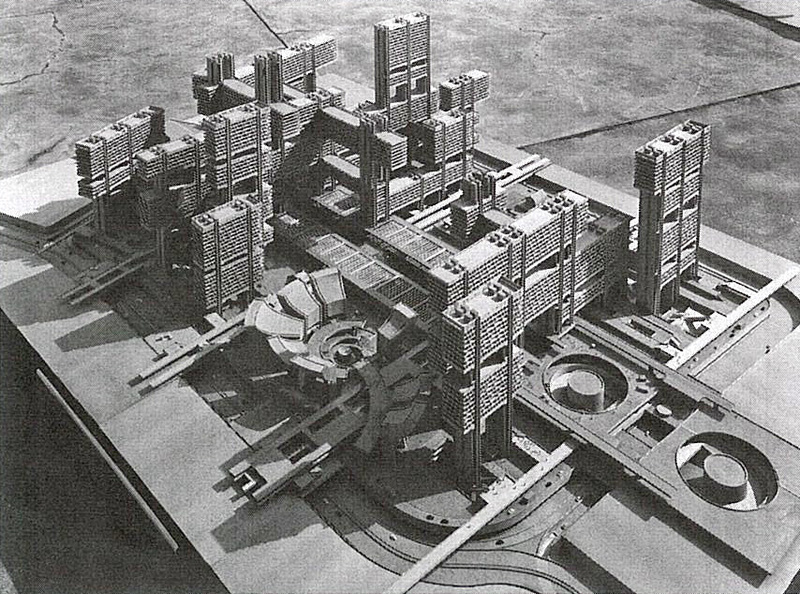 Plan for Tokyo, 1960. Details of the model. Kenzo Tange. This huge fleet of units up to 300 m wide, with roofs like Japanese temples that seemed to be floating in the water, contained the residences. Plan for Tokyo, 1960. System piles and nuclei. 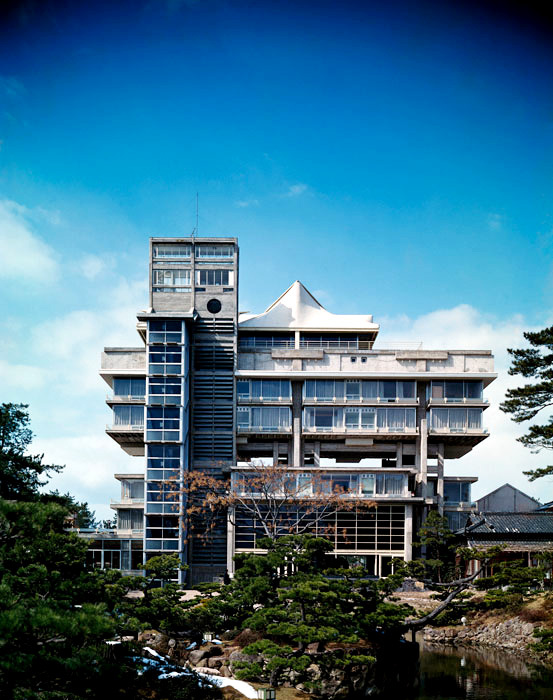 Kenzo Tange. 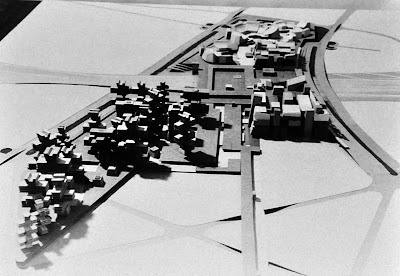 Influenced by the ideas of Le Corbusier, Tange proposes that "Pilotis areas constitute spatial links between public and private areas. They are the areas in which the flow of traffic meets with stable architectural space. Core systems, on the other hand, link urban arteries with the buildings." 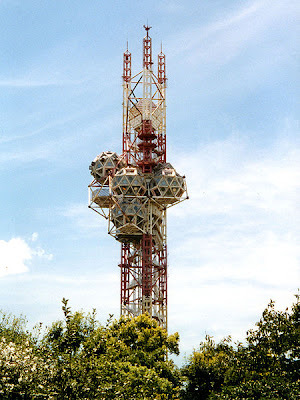 Both cores and piles were integrated into a single system. 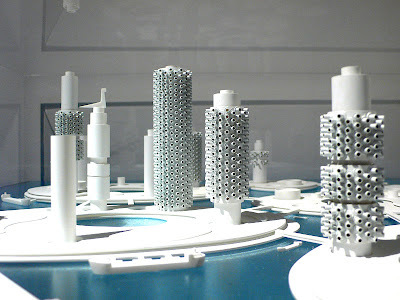 The ideas evolved into urban utopias that envisioned mega-cities through the generation of giant geometric shapes. 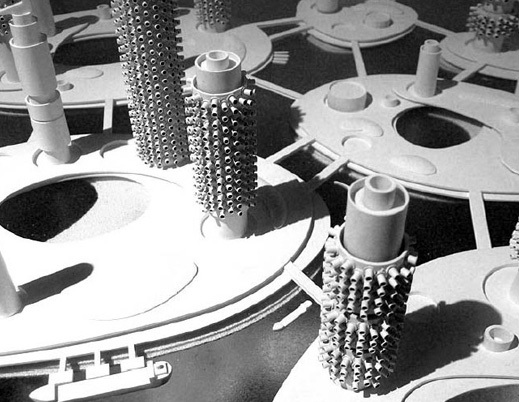 In the exhibition, 3D reconstructions show images of what these huge futuristic structures would have been, but in my personal opinion, they lack human scale and people were considered little more than ants in a huge mechanical assembly. Joint Core System. Arata Isozaki, 1960. 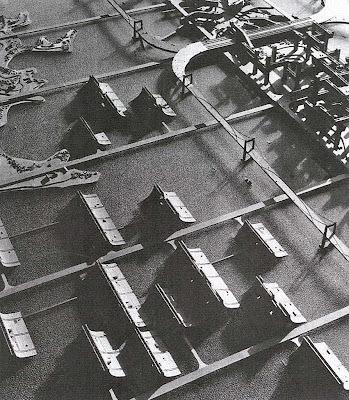 The plan assembled large horizontal arms around vertical elements, forming groups of offices. It was integrated into the Plan for Tokyo by Tange, his master. City in the air. 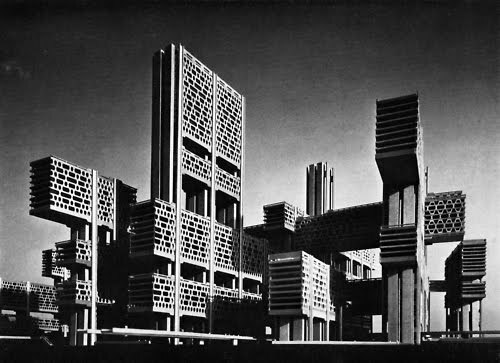 Arata Isozaki, 1961. 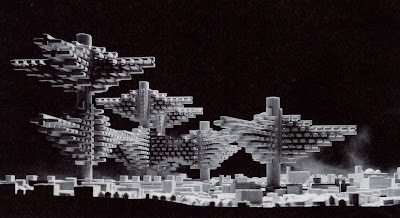 The young architect, dissatisfied with the chaos of Tokyo, raised an orderly city completely separated from that laid in its base, whose branches were born from central mega-columns. Helix City. Kurokawa, 1961. 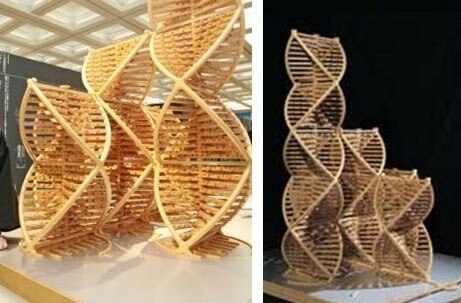 Located on the sea, this proposal was inspired by the structure of DNA, which had recently been discovered. It was a double helix allowing continued growth of the city. City Farm. Kurokawa, 1960. The proposal sought to resolve the contradiction between city and countryside through a concrete grid of 500 x 500 m, elevated 4 m high from the agricultural area by pilotis. 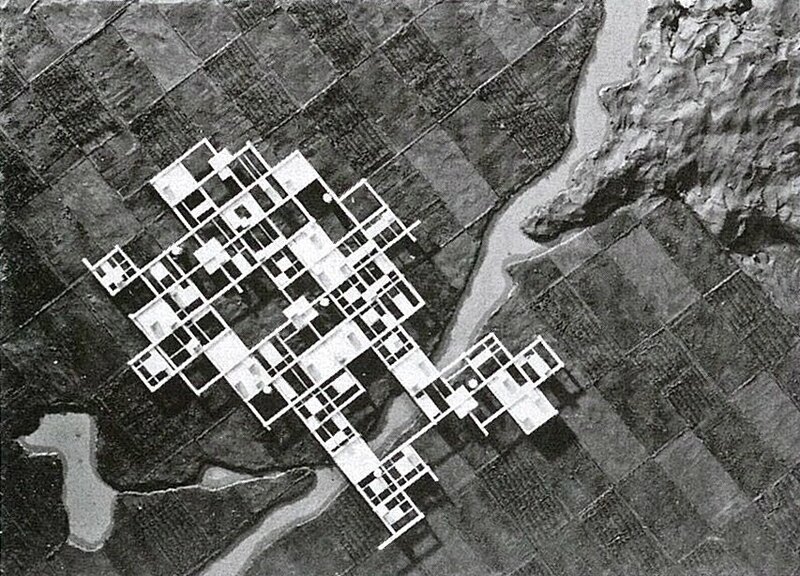 I wonder how the architect consider to provide the agricultural field with a fundamental resource: solar light. Renewal of Tsukiji District. 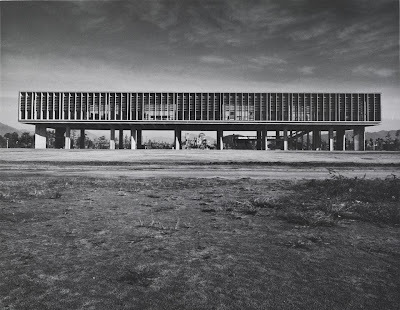 Kenzo Tange, 1963. However, these ideas led to the creation of some Metabolist buildings, particularly certain works by Tange, Kikutake, Kurokawa, Maki, Otani and others. But without a doubt the most important icon of this movement was the Nakagin Tower by Kisho Kurokawa, the first interchangeable capsule building in the world, that we have explained in more detail in this moleskine. Shizuoka Press and Broadcasting Center, Tokyo. Kenzo Tange, 1967. 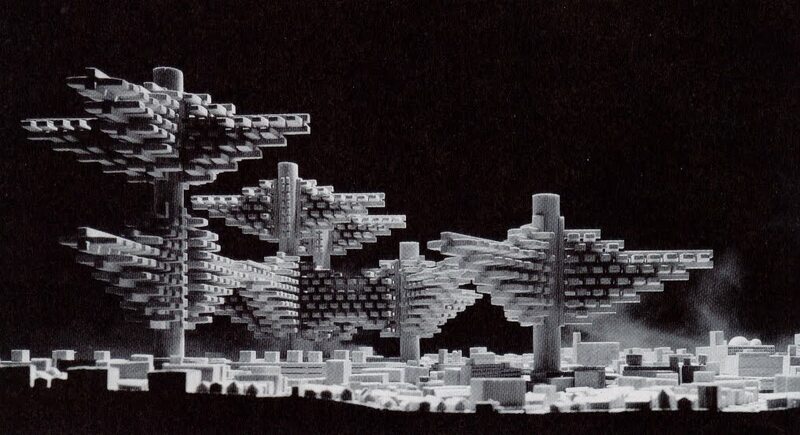 This should have been the starting point of a mega-lattice, yet never was built. This building is near the Nakagin Capsule Tower. Corporate headquarters of Fuji TV, Tokyo. 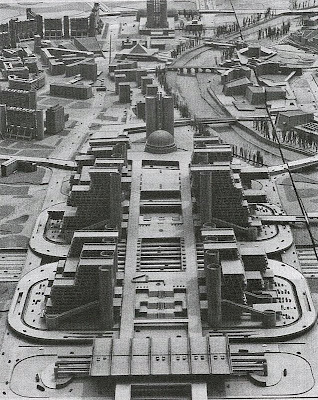 Kenzo Tange, 1996. Shinjuku Station, Tokyo. Fumihiko Maki and Masato Osawa, 1960. 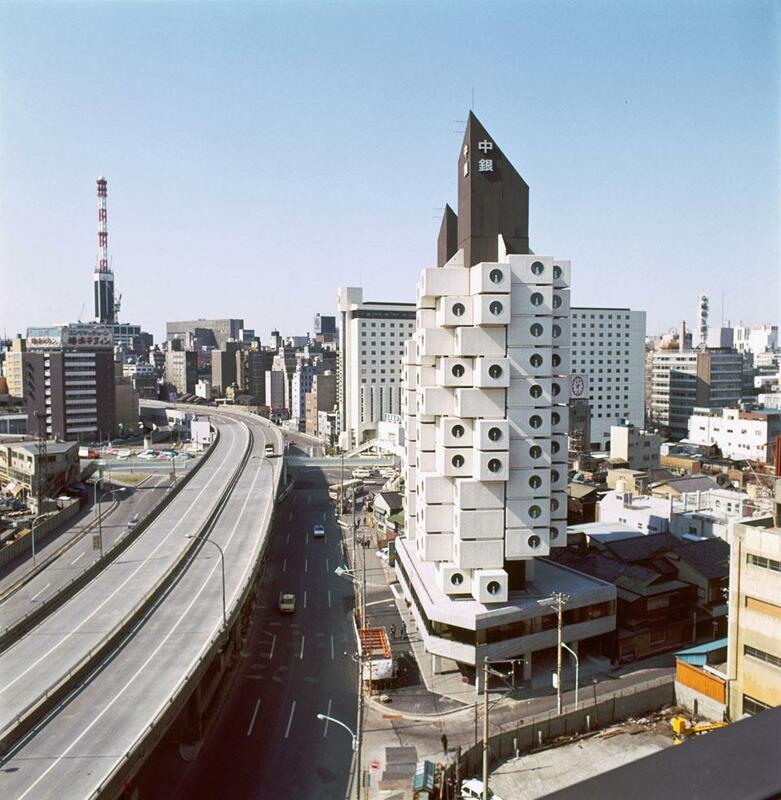 Nakagin Capsule Tower, Kisho Kurokawa, 1972 . Miyakonogo Civic Center. Kiyonori Kikutake, 1966. The bulky fan shape of this mega structure contrasted with the modest skyline of this small town. International Conference Centre, Kyoto. Sachio Otani, 1966. I hope to dedicate a post to this building soon, which seems a futuristic Star Wars Imperial destroyer. 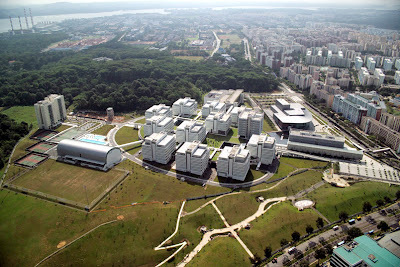 Republic Polytechnic, Singapore. Fumihiko Maki, 2007. 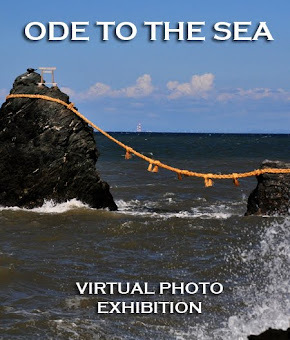 Photo courtesy of Maki and Associates. 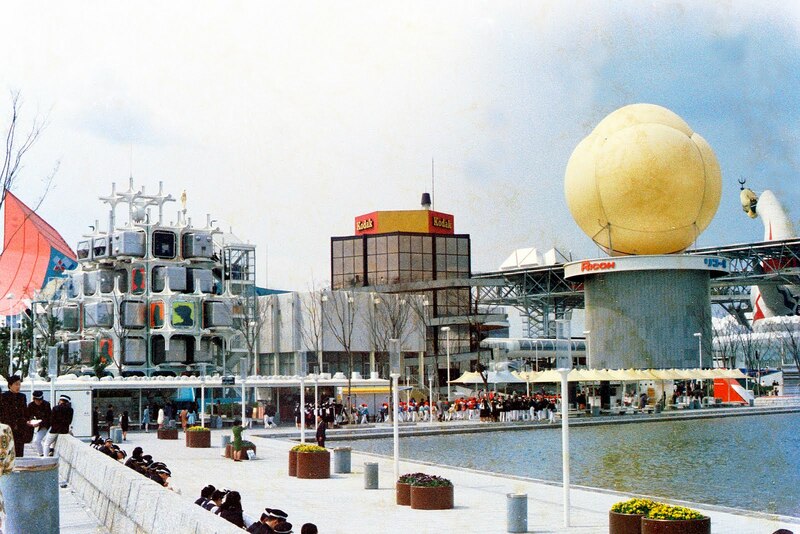 Besides the architecture and urbanism, art was deeply involved in Metabolism, primarily through two events: the exhibition "Environmental Space", 1966, and mainly the Osaka Expo in 1970 (whose urban planning was alsodesigned by Tange). This was a chance for artists like Katsuhiro Yamaguchi and Kiyoshi Awazu to develop creations based on the principles of Metabolism. Master Plan for the Osaka Expo 70 . 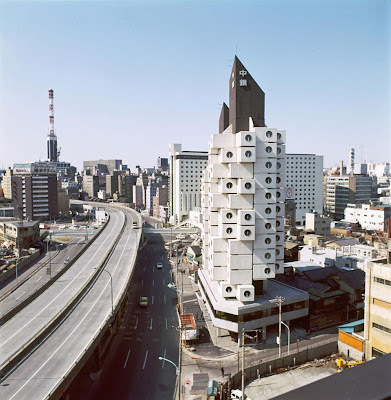 Kenzo Tange. Aerial view of the Osaka Expo 70 . Beautilion Takara, Osaka Expo. Kisho Kurokawa, 1970. 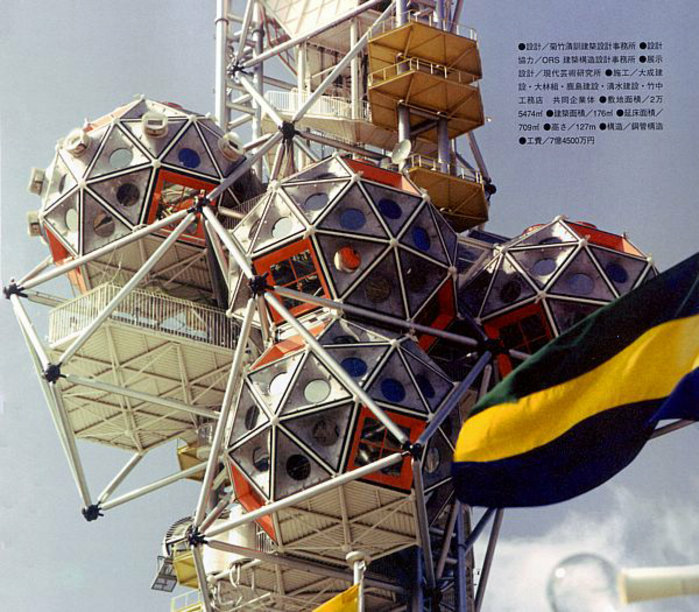 Obsessed with the idea of capsules, Kurokawa organized a structural frame to which cube caps were attached. The unfinished aesthetic conveyed the idea that it was a constantly growing project. Expo Tower, Osaka. Kiyonori Kikutake, 1970. 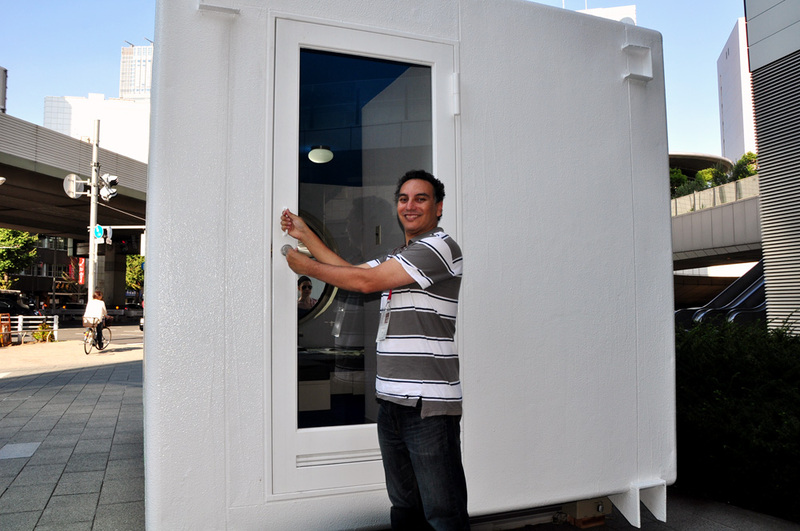 Located at the southern end of the Expo , offering panoramic views of the event. 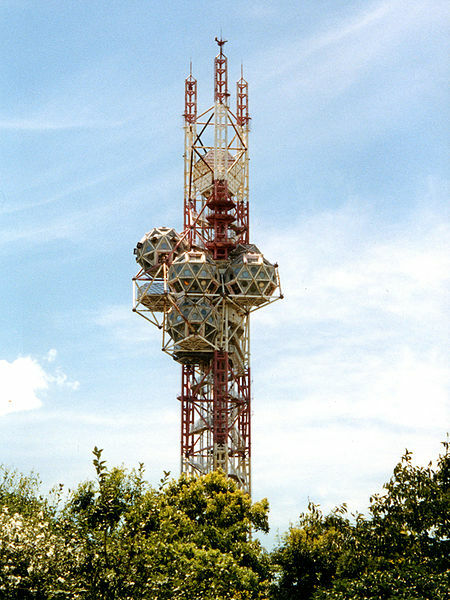 It was composed of a central steel pipes to which metallic geodesic spheres were attached. The design allowed for continuous expansion. This section is devoted to the influence of metabolism on projects outside Japan, including Hawaii Marine City, USA, PREVI homes in Peru and the reconstruction plan of Skopje, Macedonia. 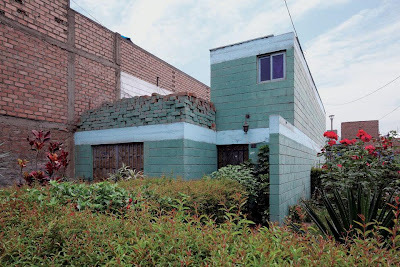 Housing PREVI, Lima, Peru. Kiyonori Kikutake, Kisho Kurokawa, Fumihiko Maki. 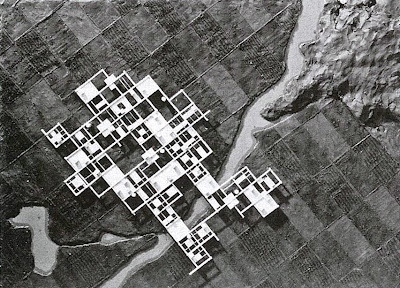 In 1967, Peruvian President architectFernando Belaunde, promoted experimental housing systems called PREVI, to which Metabolists were invited, along with other famous international architects. The proposal of the Japanese was characterized by a long and narrow layout of the dwelling units, that regulates the rigid division between the service and living functions, which are arranged lengthwise. Marine City, Hawaii. Kiyonori Kikutake, 1963. These "rollers" were cylindrical cores from which housing units were born. As the units became older, they were replaced by new ones, similar to regenerating cells. Photo courtesy of mr. Prudence . 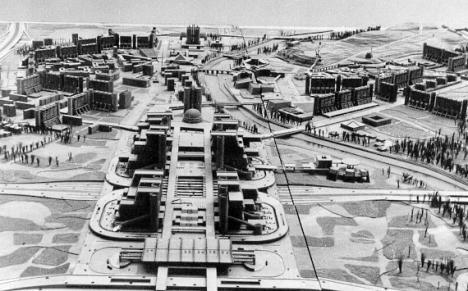 Plan reconstruction of Skopje, Macedonia. Kenzo Tange, 1965. This proposal won an international competition and it was structured around two concepts: the "City Gate", which was the hub of entry into the capital, comprising all transportation systems, and the "City Wall", consisting of apartment buildings, simulating a medieval wall, which would incorporate housing to downtown. Thanks Odi, I am happy to know that the information posted here was useful. I just met you,and I´m so happy! Please don´t stop sharing your beautiful photos and great stories with us. It is my pleasure. Thanks a lot. Thanks a lot Baoan, that is indeed an interesting project. Hi there! I am interested in one thing, could you be so kind and please share with us your place of birth? These designs are very strange and interesting. It reminds me of my designs at http://bietthu3tang.com/. I like your post. The way of understanding the metabolist movement. Really great blog. 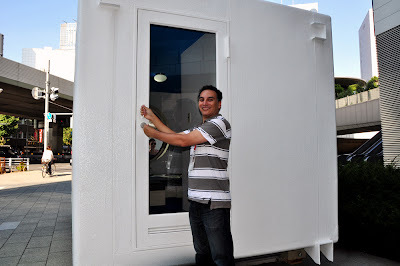 I hope you will share your next project blog soon. 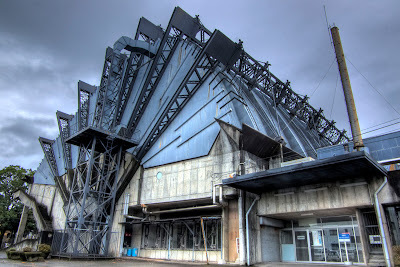 KENZO TANGE: ST. MARY'S CATHEDRAL, TOKYO.